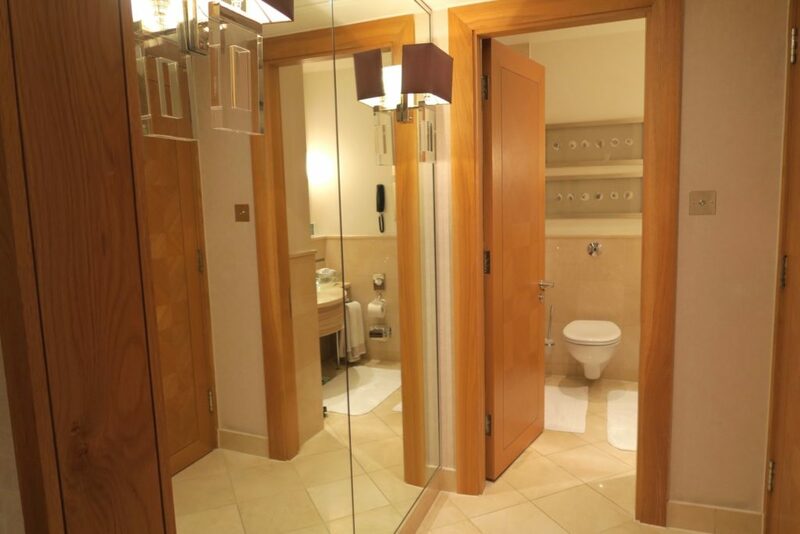 Hotel Review: Jumeirah Carlton Tower, London - Holy Smithereens! 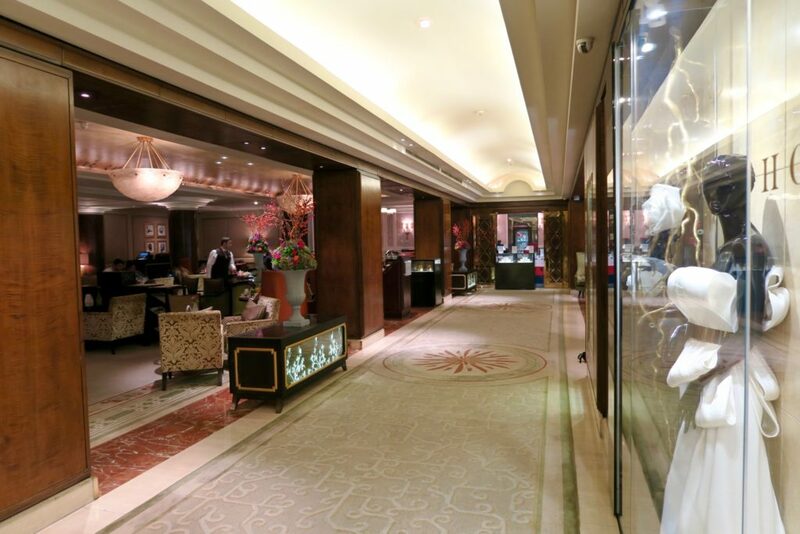 Five-star hotel Jumeirah Carlton Tower is the place to stay in London for the high-end shopper. 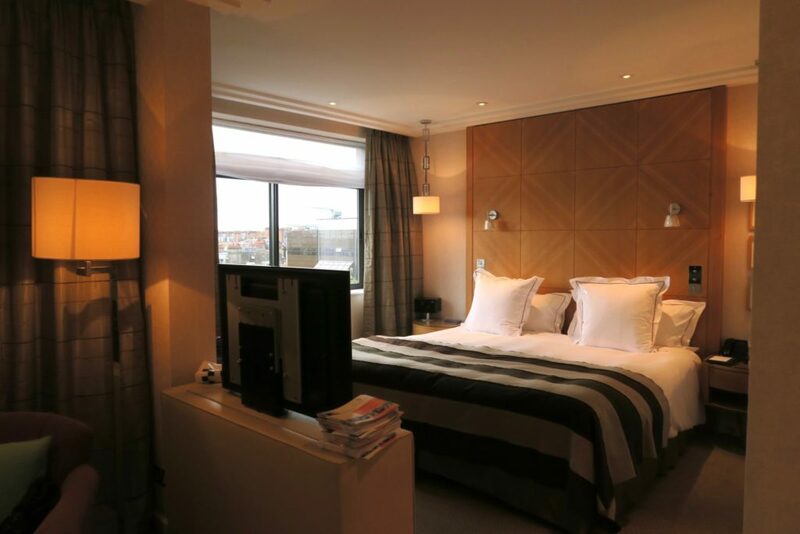 Situated in the heart of fashionable Knightsbridge, it is walking distance to Harrods and Harvey Nichols department stores. 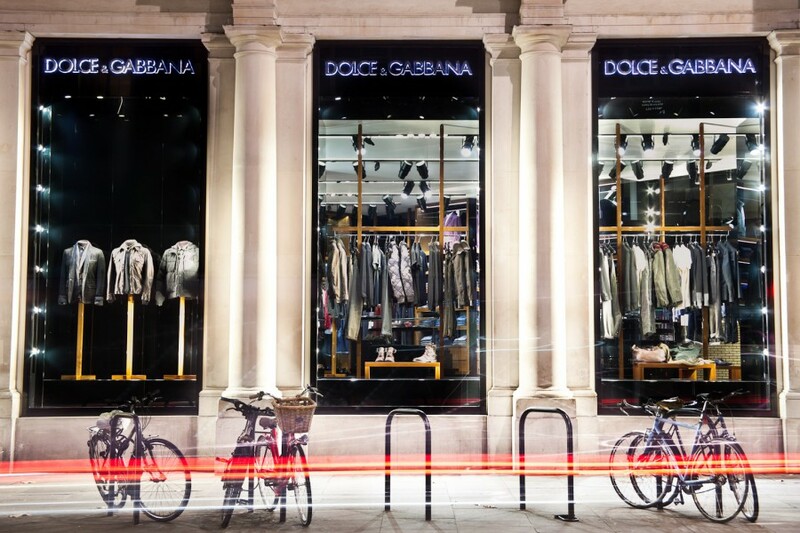 And conveniently, just below the hotel are the luxury designer shops that line Sloane Street. 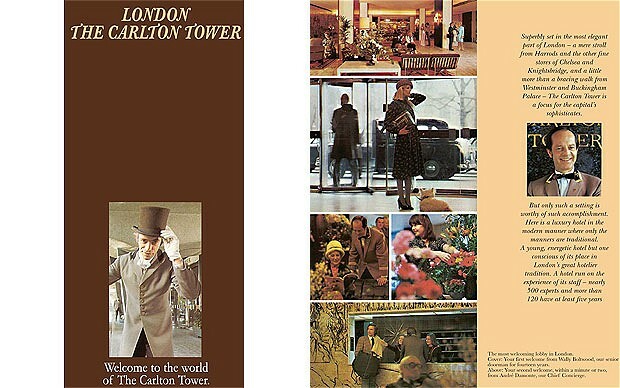 When Carlton Tower first opened its doors in 1961, the hotel was the first modern five-star property to open in Knightsbridge. Managed then by the Hotel Corporation of America, this was also one of the pioneer hotels to depart from the traditional hotel-keeping approach in London. In 2001 Emirati-based firm Jumeirah acquired management of The Carlton Tower, and in 2005, re-branded the hotel as Jumeirah Carlton Tower. 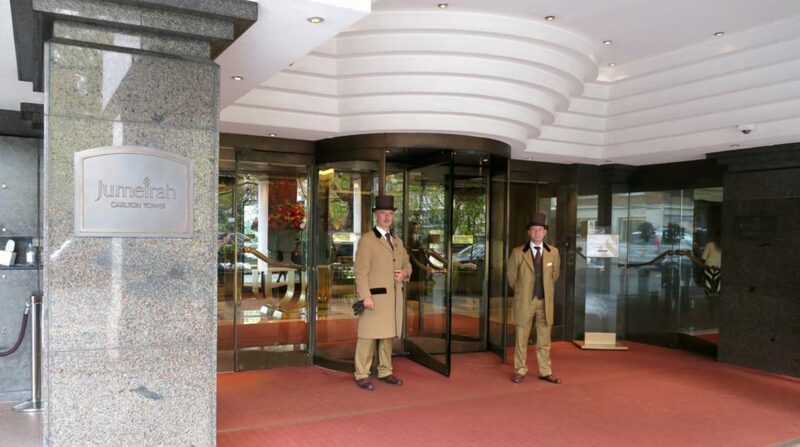 Keeping with the vintage brochure cover that Carlton Tower had in the 1970’s, the very first people who will greet you upon entering Jumeirah Carlton Tower are iconic English doormen. These doormen (and most doormen in London hotels) have the balance of being courteous and warm when welcoming guests, but also the confidence and self-assuredness required in their roles as the primary frontliners in a hotel. Cool fact: Did you know that this occupation dates back to the time of Plautus under the Roman Republic? It was then called ianitor – from the latin word ianua , which means door. I didn’t think I’d be writing so soon about Jumeirah Carlton Tower’s service, right in the same paragraph as check-in. It was a warm welcome from the doormen who ushered us inside the lobby and into the check-in desk. A woman and her family were checking out and it seemed that she was complaining about her stay. I can’t quite make what it was as they spoke Spanish, and had a translator on the phone speaking to both her and the Jumeirah staff (the phone was being passed back and forth). The woman became increasingly loud and argumentative, but the staff handled it really well. First of all, they listened to her complaints, despite the language barrier, and while doing so, none of the two staff that were speaking to her seemed dismissive or annoyed. They were quite firm , but at the same time offered a resolution. In the meantime, the staff checking us in didn’t seem fazed at all by the escalating drama next to us, and kept her composure and friendliness all the time. And this was the main feel of professional service I felt throughout our stay. 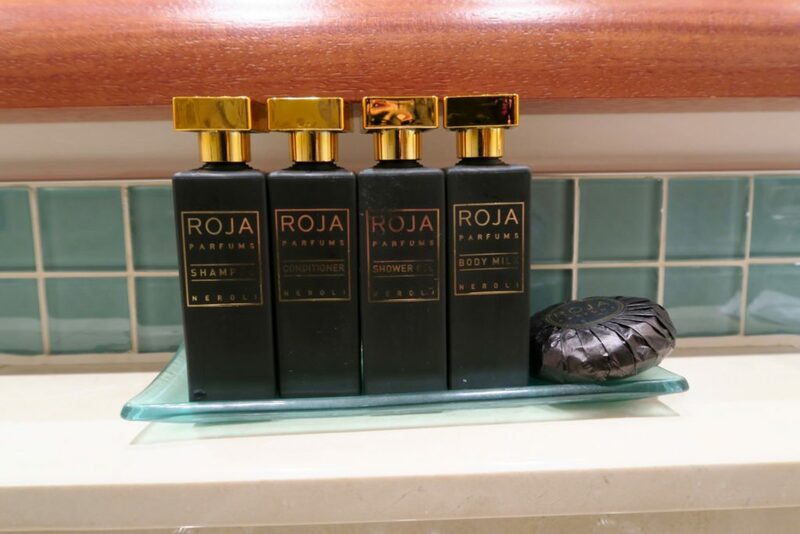 In true Jumeirah fashion, the welcome amenity was quite opulent. 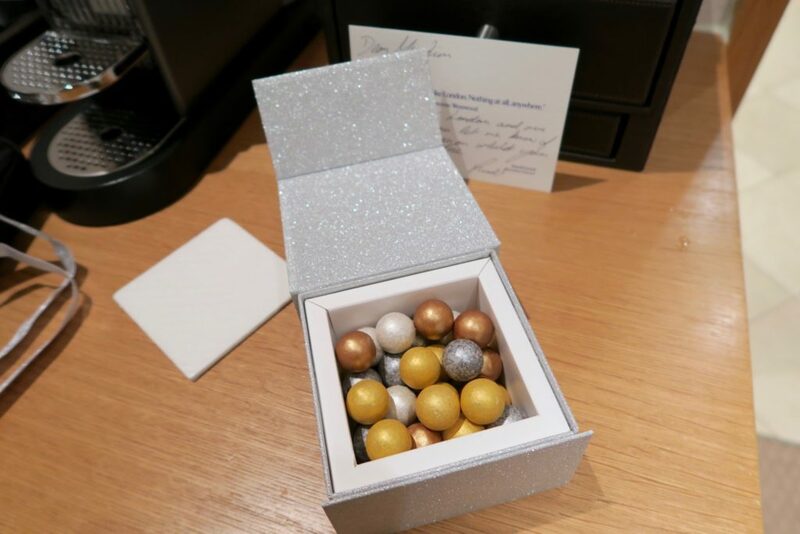 Metallic chocolate balls that looked to precious to eat. Surprisingly, they didn’t break my teeth, as I thought they would be hard rock. 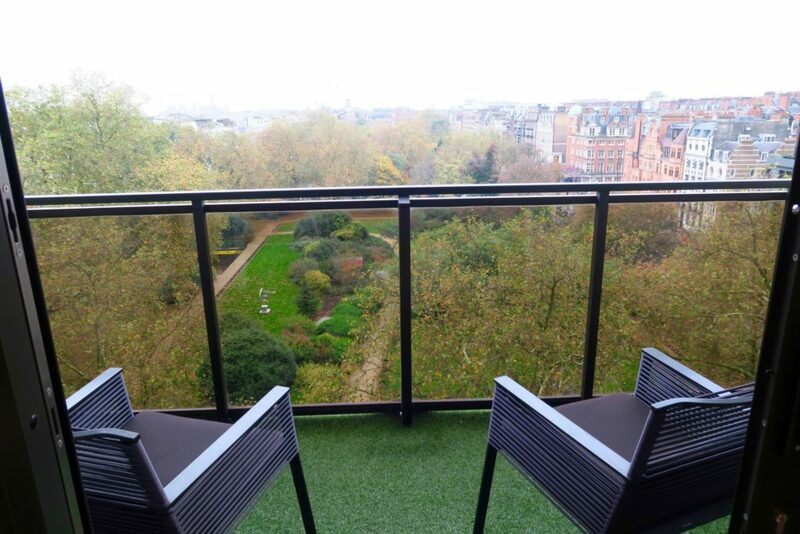 Measuring 28 square metres, the Deluxe Balcony Room has a King sized bed, working desk, a widescreen interactive LED TV, and most of all, a balcony that opens up to the view of Cadogan Gardens. By my bedside, I found a hardbound book. Deep Sleep 101. It contains a music CD as well. Just browsing at the images of this book made me feel extremely sleepy. Images of stars, words to induce you to sleep. I didn’t even play the CD. Anyhow, I don’t think I needed that book to have quite a restful sleep as the bed and pillows were quite comfortable. I have to say that the bathroom was rather small , with a tub/shower installment. 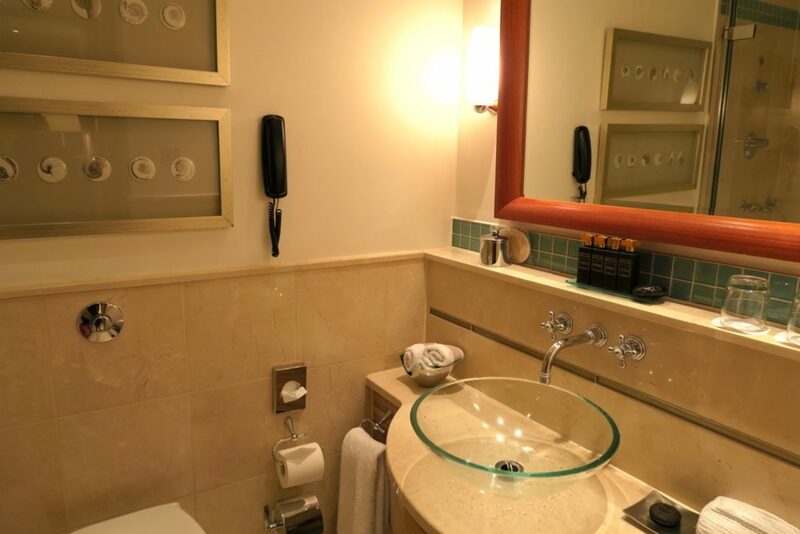 The fixtures and amenities still had a touch of that Jumeirah style but the tight space felt out of proportion with the generous size of the room. 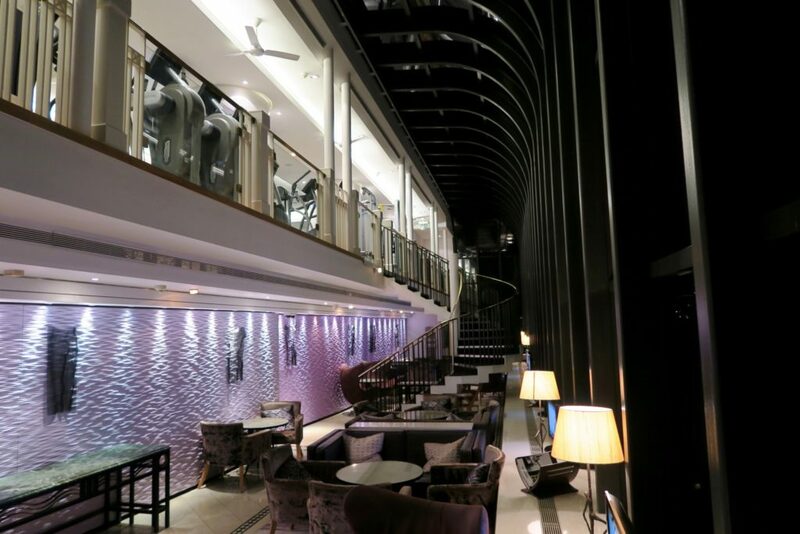 Located on the 9th floor of the hotel is The Peak Health Club & Spa. 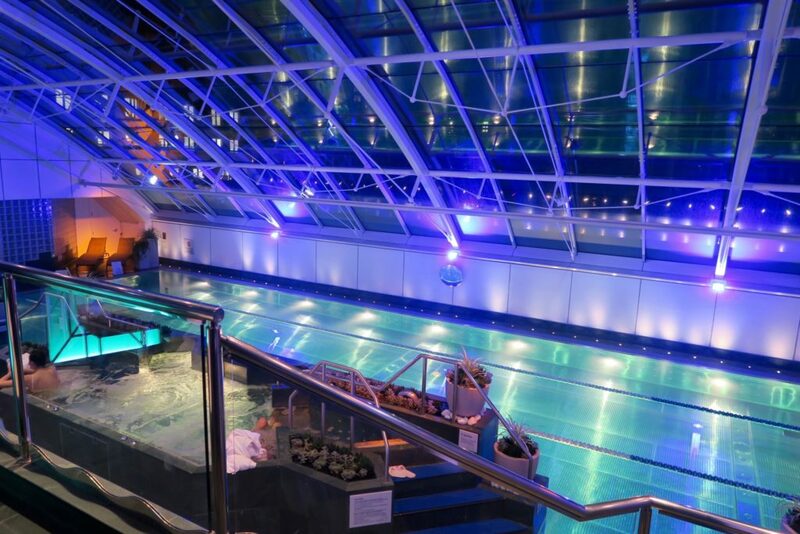 It was voted Hotel and Day Spa of the Year in 2011 by Pevonia UK . As this hotel was my last stop in London before heading to the Maldives, I booked a hair removal service at the spa and it was great. Quick and at the same time therapeutic. The location of Jumeirah Carlton Tower is one of its highest points in my opinion. Its great for shoppers but at the same time and also centrally located, but at the same time it’s still in a quiet street. The Knightsbridge tube station is just 6-7 minutes away by foot, and you do get the excuse to stroll down Sloane Street to get to the station, Harrod’s and Harvey Nichols. Rates at a Deluxe Balcony Room begin at around GBP 489.00 a night but there are always deals available online. 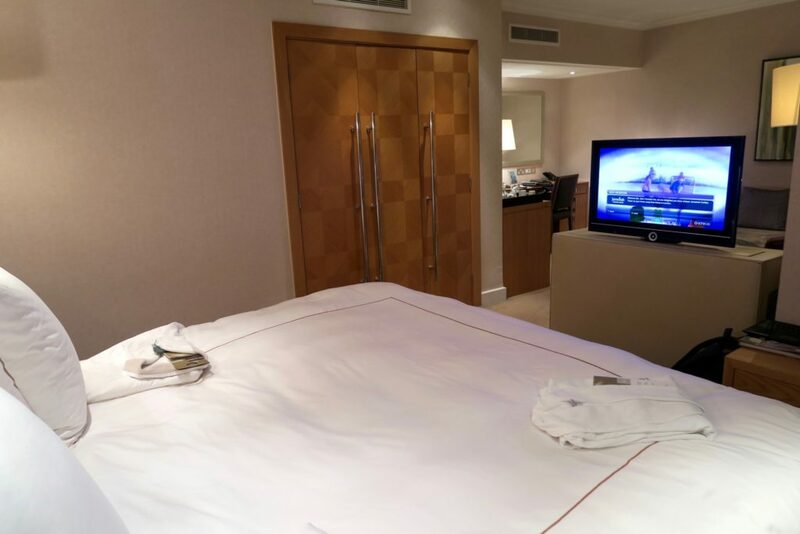 We stayed as guests of Jumeirah Carlton Tower, but all opinions and thoughts are my own. And that’s always a good sign when staff handle a drama with style. Sadly it’s not always that classy and you’re right about knowing you’d be in good hands from that moment on. That’s right, sometimes its when issues arise that you see how the customer service really is. It’s easy when everything is going well. 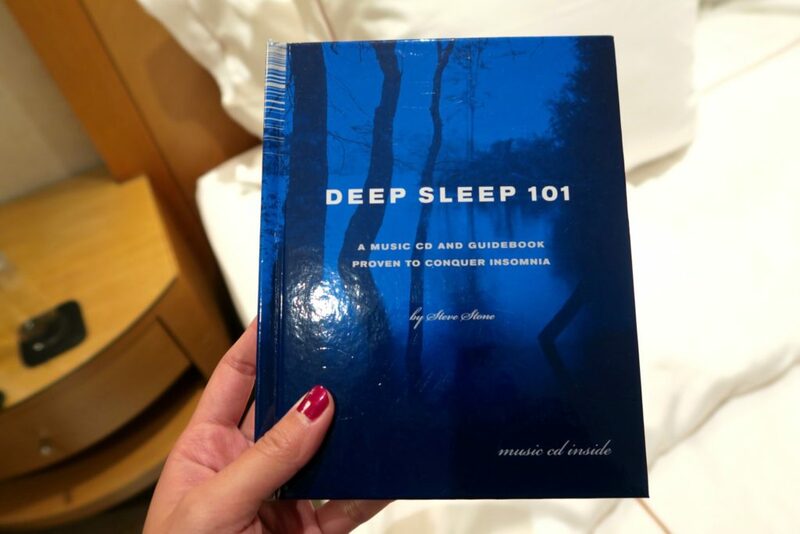 Deep Sleep 101… where do I get my hands on a copy?! That is brilliant. Oh, the view over the gardens is pretty incredible too. Say hi to London town for me. Happy weekend too lovely one. 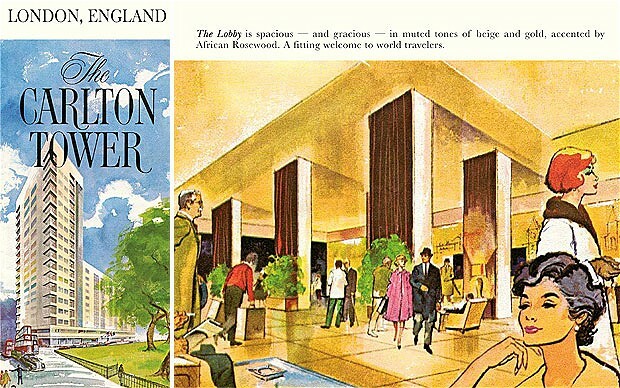 I lived in London almost all of my life and had never even heard of this hotel, it looks fabulous though! I love the look of that pool and how lovely was that little balcony overlooking the gardens! I think I need a copy of that book or maybe just a night on those pillows! Swoon! Check it out next time you’re in London! 🙂 It’s not in any main street which adds to the factor of its quietness and privacy, but also so close to Knightsbridge station.